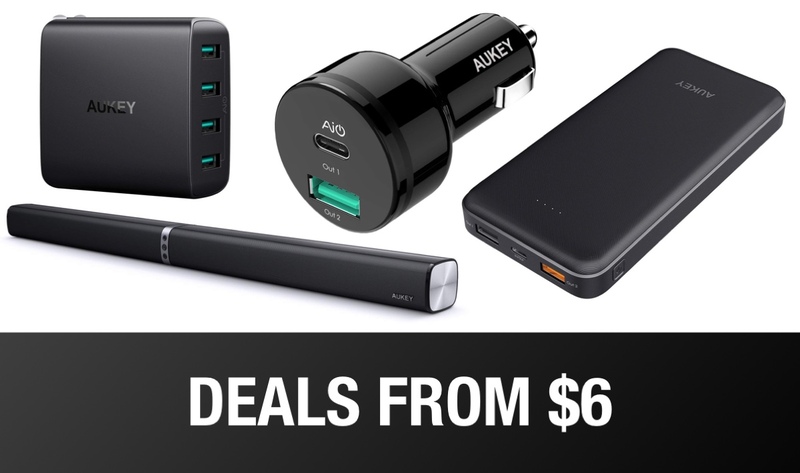 Portable power banks, chargers for mobile devices, and an array of other AUKEY products are currently all on sale, which, of course, means that you can save money on quality hardware with immediate effect and with no additional legwork required on your part. Millions of people all over the world have already taken a punt on AUKEY hardware. And, in all honesty, it’s not really a punt when you consider the glowing reputation of the company, which is even more impressive when you consider that the reputation has been amassed across a hugely diverse range of hardware and tech-based accessories. We’re sure you’ll agree; there is a myriad of wonderful deals listed above that not only cover a varying array of product types but also offering different levels if discount. Make sure to check them all out and grab the savings while you can before the deals are revoked.